Complete a medicine internship in Mongolia and use the experience to launch your medical career. You will shadow doctors and nurses in hospitals or clinics. Wearing your scrubs, you’ll follow them on their rounds and rotate through departments like cardiology or neurology. This is a chance for you to get an insight into a developing country’s medical practices. We’ll also teach you how to diagnose and treat the diseases and conditions you’ll see. 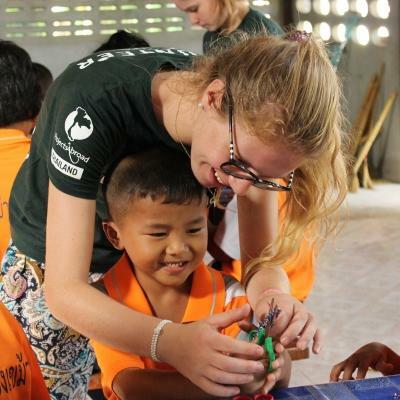 You’ll also get practical work experience doing health checks during monthly outreaches in disadvantaged areas. You will live and work in Mongolia’s capital, Ulaanbaatar. Use this time to explore Mongolia’s vast lands, meet nomads, wander through a temple, or simply spend time with your host family. Is a medical internship in Mongolia right for me? This internship is perfect for people who are applying to study medicine, or medical students trying to decide on a specialisation to pursue. It’s also a great option for those wanting to see the day-to-day functions of a hospital in a developing world. You should be hungry to learn, and willing to ask questions. During your internship, you’ll be able to broaden your practical medical knowledge and strengthen skills like communication. 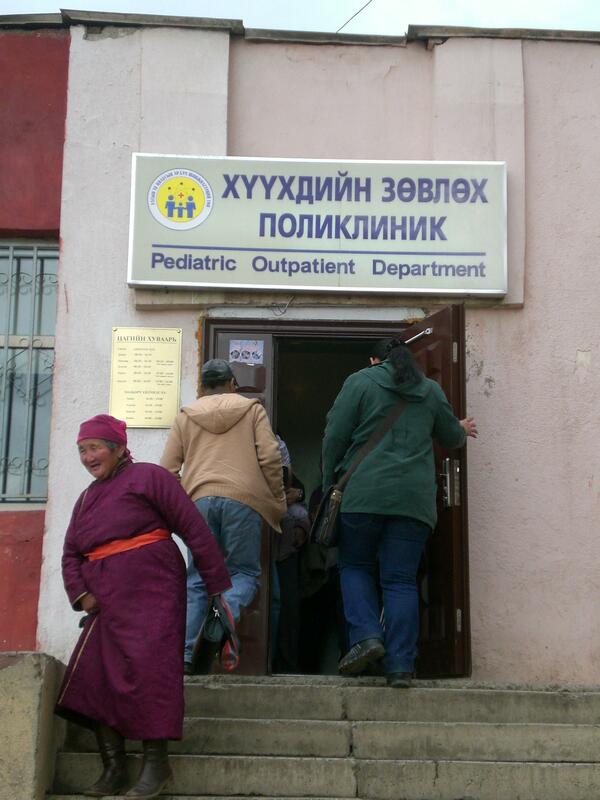 You’ll also learn a great deal about the healthcare challenges that people face in Mongolia. 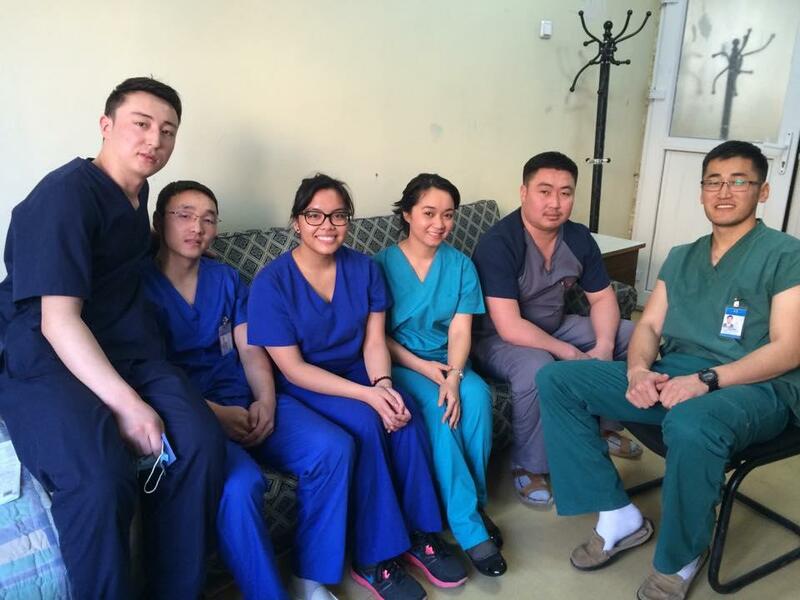 Our medical internship in Mongolia runs throughout the year and you can join at any time from two weeks. Take notes, ask questions, and get to know the dedicated professionals who work to help, improve and save lives. Through active observations, you will build relationships with your supervising doctor, and tap into a wealth of medical knowledge! You also have an opportunity to observe surgeries. To really know what medical specialisation you’re interested in, you need to explore your options. You will rotate through medical departments like cardiology, neurology, the intensive care unit, or general surgery. 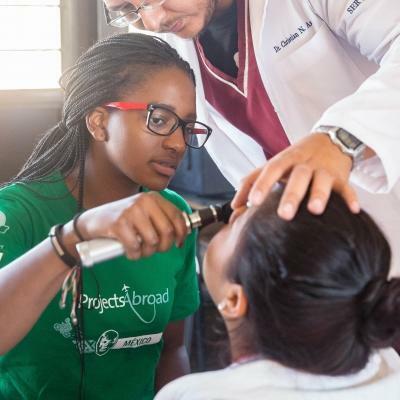 This is a wonderful way to fully explore the medical facilities and practises of a developing country. Every month, we organise a community outreach. These outreaches are held at a community centre and focus on providing healthcare to homeless people. Here, you’ll help distribute meals to people in attendance, assist the doctor on duty, and distribute medication to people. You’ll get some practical experience by helping to record blood pressure readings or check the weight/height of patients. The doctor on duty will supervise you, and answer any questions you have. 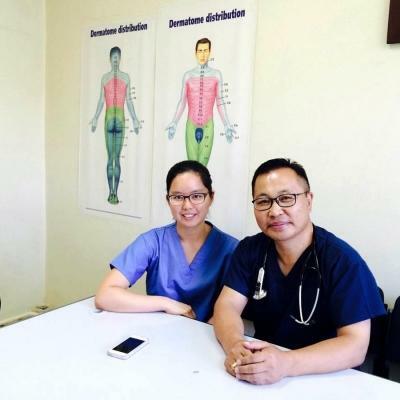 What type of medical placements are available in Mongolia? Where in Mongolia will I be working? You will live in the country’s largest metropolis, Ulaanbaatar, and work in a hospital or clinic. All medical interns also take part in monthly outreaches held at a community centre. Mongolia is a large country and shares borders with Russia and China. Most of the country is a vast open plain traversed by nomads. In your free time, wander city streets, take note of the Soviet-style high-rise blocks, or speak to families who live in gers – traditional tents. 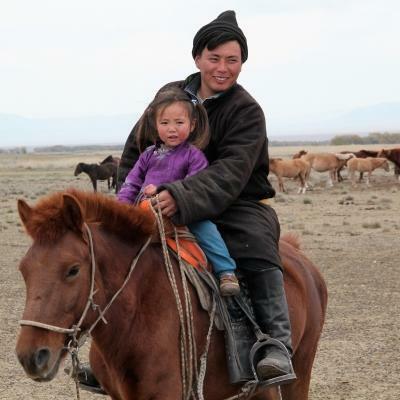 Or, get away from the city, and travel for about two hours to visit nomads on the Mongolian Steppe. A typical day on the medical internship in Mongolia begins in your host family home with breakfast and morning chatter. With your scrubs and medical clogs packed, you will take public transport to your medical placement. You will shadow doctors in clinics or hospitals, following them on their rounds and observing procedures. You work for around 8 hours a day, Monday to Friday. You also have the option of night-shift work. This can be discussed with your supervisor. 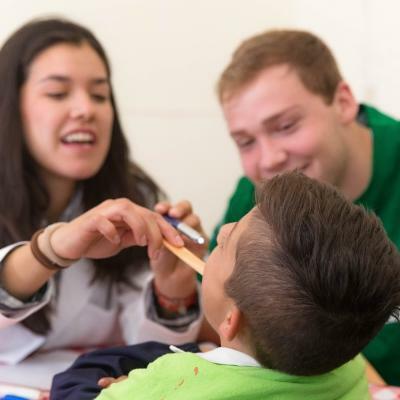 Once a month, you will gain hands-on medicine work experience in Mongolia at an outreach. You will take blood pressure readings, learn about different conditions, and ask the on-duty doctor questions about different patients. After a busy week of interning, use your free time in the evenings and over weekends to explore Mongolia. Visit the nomads, plan a trip to Terelj National Park, and make sure to stop over in the Gobi Desert. 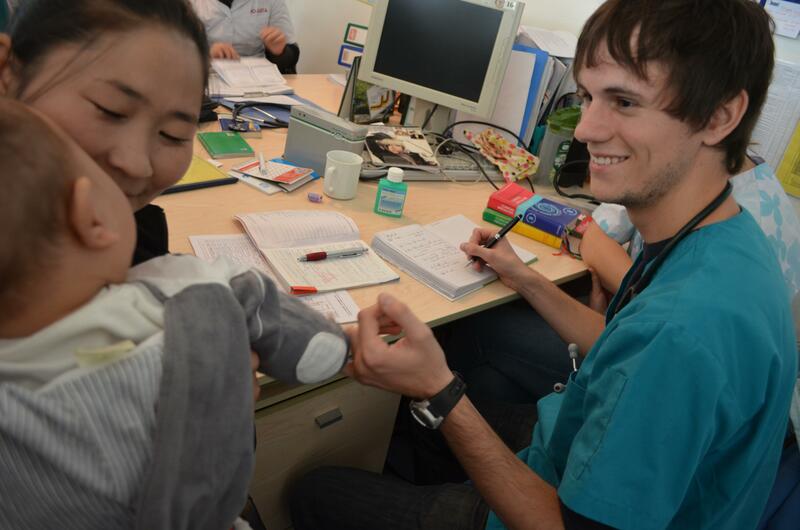 The main aim of this internship in Mongolia is to help you understand the medical practices of a developing country. We also hope to encourage an exchange of medical knowledge between you and the team you work with. We organise monthly outreaches for you to take part in. Here, you will provide disadvantaged people with healthcare services. These services include blood pressure checks and distributing free medication. Dr Erdenechimeg, from a Mongolian medical internship placement says: "The Medicine & Healthcare [interns] are able to pose any questions about areas that they would like to explore further, and I'm always delighted to spend the necessary time providing the relevant information to expand their practical and theoretical knowledge. I still maintain good contacts with many former volunteers, who repeatedly stress their desire to become qualified and proficient doctors, partly based on their experience here in Mongolia. I hope that this continues and that any future volunteers feel that they can gain some experience whilst working in our hospitals together with our qualified doctors, in a way that will be beneficial to them regardless of their area of expertise." 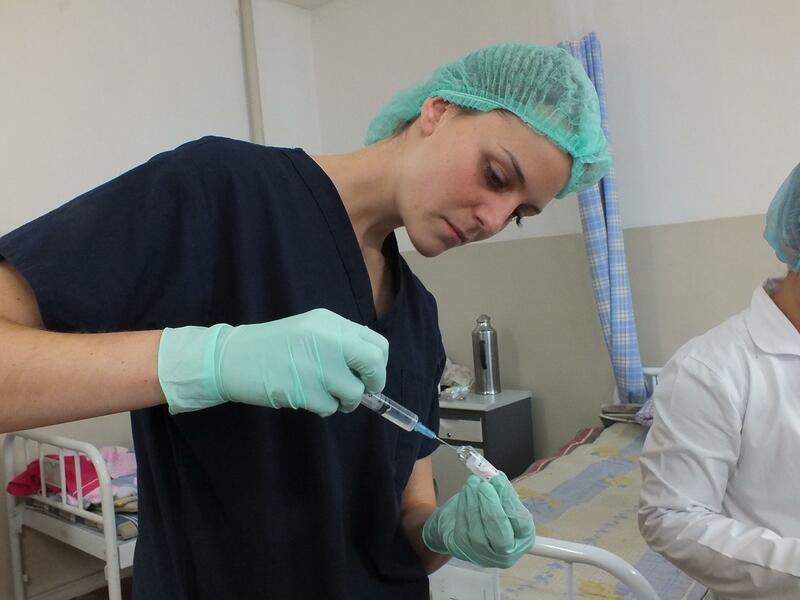 Join us on a medical internship in Mongolia to kickstart your career in medicine today. I wanted to do some volunteering to build a stronger resume to fulfill my future goals of getting into medical school. 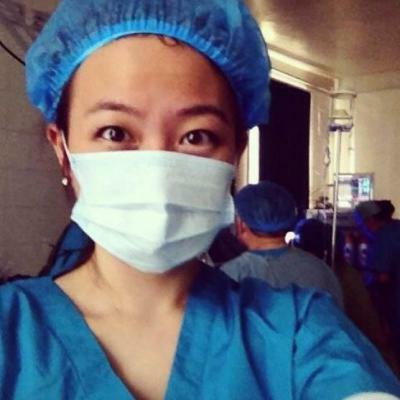 In order to get into medical school, you have to have so many hours of shadowing physicians and this is where my journey with Projects Abroad in Mongolia began. I was exposed to a whole variety of operations, some of which I was new to. I am proud to say that I witnessed the first ever embolisation procedure done under radiological guidance in Mongolia.